During the NBA’s regular season, superstars shine on basketball’s biggest stage. When the season ends and a champion gets crowned, however, many basketball icons flock to summer basketball leagues to stay in shape and give back to the community, usually in the area where they grew up. Many videos of these NBA celebrities showing off their skills have gone viral on the internet, some videos landing on ESPN’s “Sportscenter”. This summer, the Atlanta Entertainment Basketball League turned the gym many Grady students use for personal fitness and weight training classes into a basketball hub every weekend, where ametuers and superstars alike aspired for the AEBL title. Inspired by streetball leagues he grew up around in New York, Rawlings created the league in 2013 to strengthen the basketball community in Atlanta. 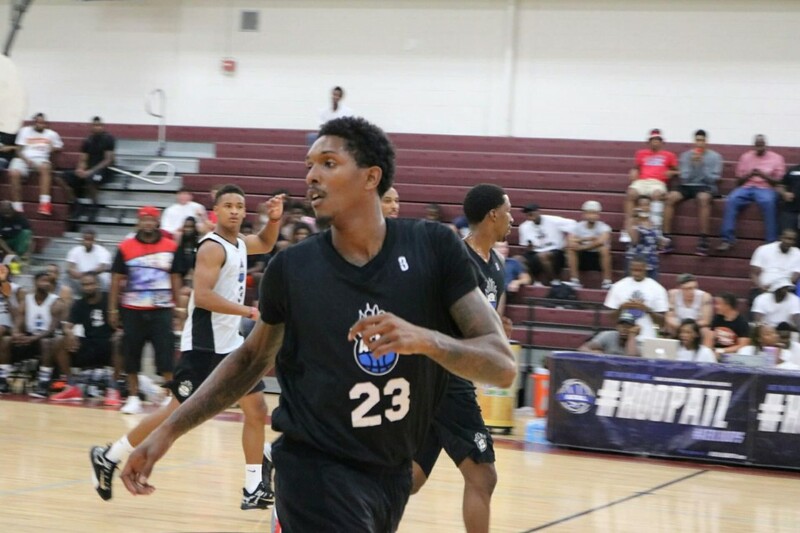 With help from Lou Williams (Toronto Raptors guard and South Gwinnett High grad), Street Execs (rapper 2 Chainz’s management company), and other prominent basketball figures in Atlanta, Rawlings brought his vision to life with hard work and dedication. After playing basketball in Atlanta and working for the Atlanta Hawks, Rawlings created a web of contacts in and around the Atlanta area that helped him get the league off the ground. Using his connections around the city, Rawlings was able to popularize and market the league, which has grown significantly every year since its creation. After two years of operation, AEBL outgrew its original gym in Central Park, so Rawlings reached out to Weeden to show interest in Grady’s gym. With help and coordination from Weeden, Athletic Director Myss Jelks, and Grady students, Rawlings said AEBL blossomed this summer at the school. Along with some of the NBA’s biggest names, free admission to every game made AEBL a great summer attraction to local youth and Grady students. This season, in the league’s most successful summer yet, The Uptown Sounds took home the crown for the second time in the league’s three years of operation. Williams, former Hawks forward Josh Smith, current Hawks forward Mike Scott, and Detroit Pistons guard and former Georgia Bulldog Kentavious Caldwell-Pope, a Greenville, Ga. native, led the team to its championship. Other big name players in the league included former NBA player and Georgia standout Damien Wilkins (Nephew of Hawks legend Dominique), current Brooklyn Nets guard and Georgia Tech Yellow Jacket Jarrett Jack, Hawks power forward Paul Millsap and his brothers, Elijah, of the Utah Jazz, Abraham, who played in the Las Vegas summer league for the Hawks and John. Rawlings said he hopes AEBL will expand even further into the community by drawing in more high school students and other youth. Grady’s connection to AEBL makes that possible. “Grady was really open to everything that we wanted to try to do for the city and for the community,” Rawlings said.